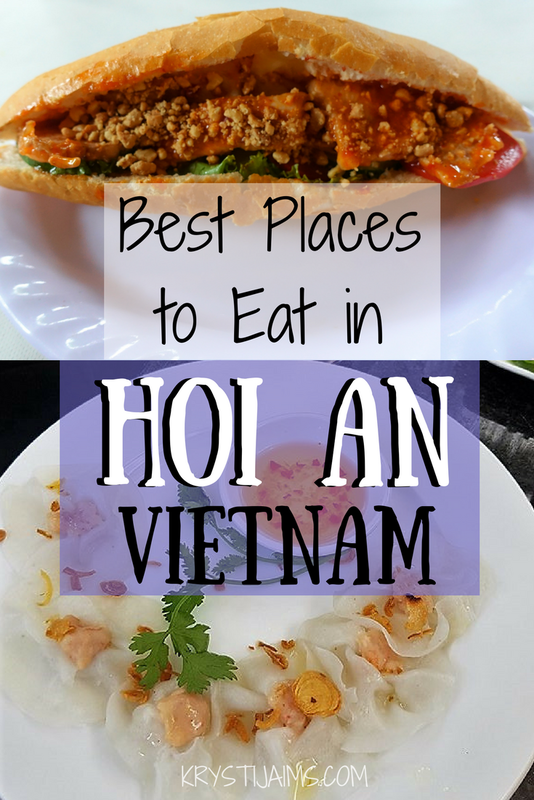 Following on from my Top Things to do in Hoi An post, here is the promised best places to eat. This is my third post of my where to eat in Vietnam series, the first two being in Hanoi and Ho Chi Minh City. I spent a wonderful week in Hoi An and finding the best local food on offer has to be one of my favourite activities while travelling. I certainly wasn’t able to try everywhere and I don’t claim to be a food expert. However, I did a lot of my own research as well as stumbled randomly across some of these fine gems while exploring. Here are my top recommendations of some of the best local dishes that are a must-try (some are special to the region) that I thoroughly enjoyed if you are heading there yourself. This famous Vietnamese baguette is an excellent option for lunch (I had one almost every day!). The sandwich is packed with a choice of fillings including meat, pate and greens. The perfect Banh Mi should have slightly warmed and crunchy bread and fresh, flavourful fillings. I specifically looked up on Trip Advisor to see where I could find the best. 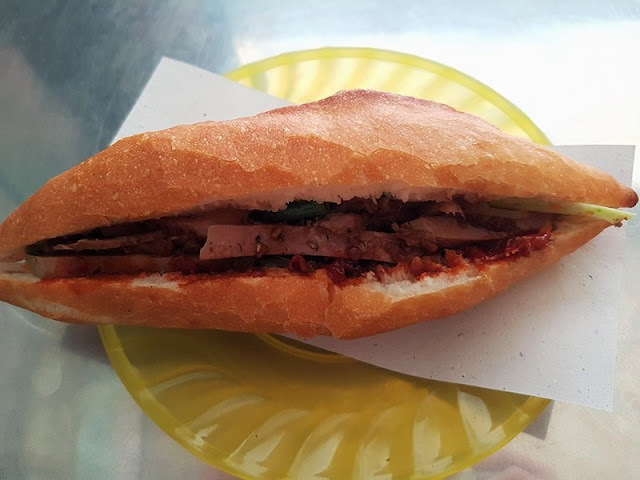 Pictured above, one of the best Banh Mi I’ve ever had was at French Bakery and Restaurant, located at An Bang Beach. I had the special pork with chilli jam which was incredibly tasty! For only 40,000 VND ($1.70 US) it was also a great price for the location. 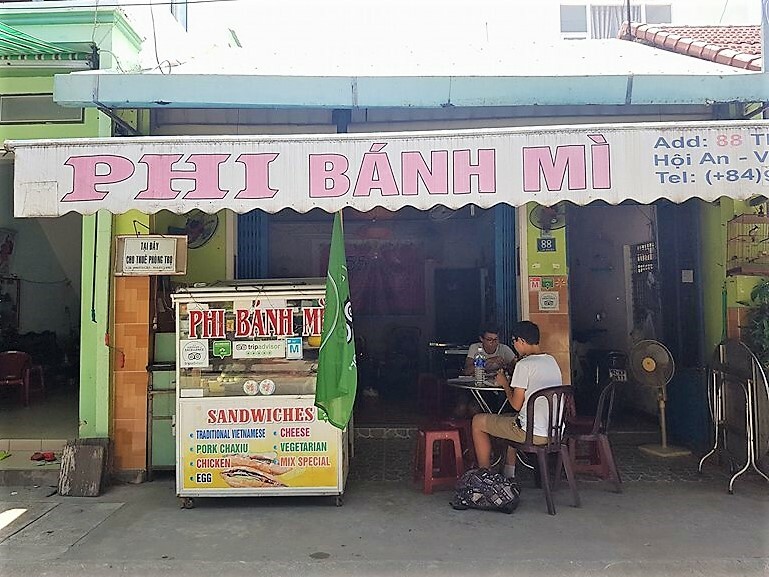 One of the top-rated ones, I just had to try Phi Banh Mi and it did not disappoint. I had a traditional pork and pate and it was one of the cheapest at 15,000 VND (US 0.66 c). It was a slightly smaller size, perfect for a snack or light lunch but the flavours were all there. 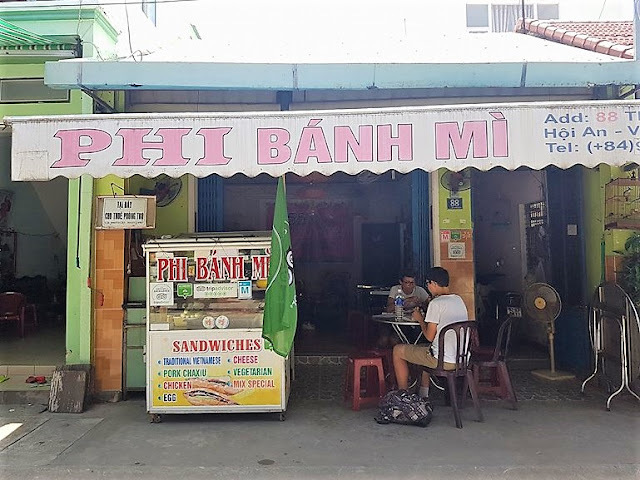 I also heard that Banh Mi Phuong is ‘the best place for Banh Mi in Vietnam,’ however the long lines every time I walked past kind of put me off! Also, some of their reviews said it was way too overhyped and touristy now. Feel free to wait in line and check it out yourself though if you’re game! One of the most famous dishes, this noodle speciality has been eaten in the city since the 17th century. The hand-cut noodles are tossed with sliced pork, crunchy rice crackers, spices, big handfuls of fresh herbs and a small amount of super-tasty broth. I tried this dish special to the region a few times and the best I had was at a hole-in-the-wall type of place called Com ga Ba Nga. They also specialise in chicken rice, which is what the name means. I was walking past and noticed the place packed with locals and a big sign saying ‘Cao Lau’ which drew me in. The service was definitely not the best and the floor wasn’t the cleanest but the food was exceptional. Banh Bao Vac (White Rose) is a popular symbol of food in the ancient town and only found in Hoi An. 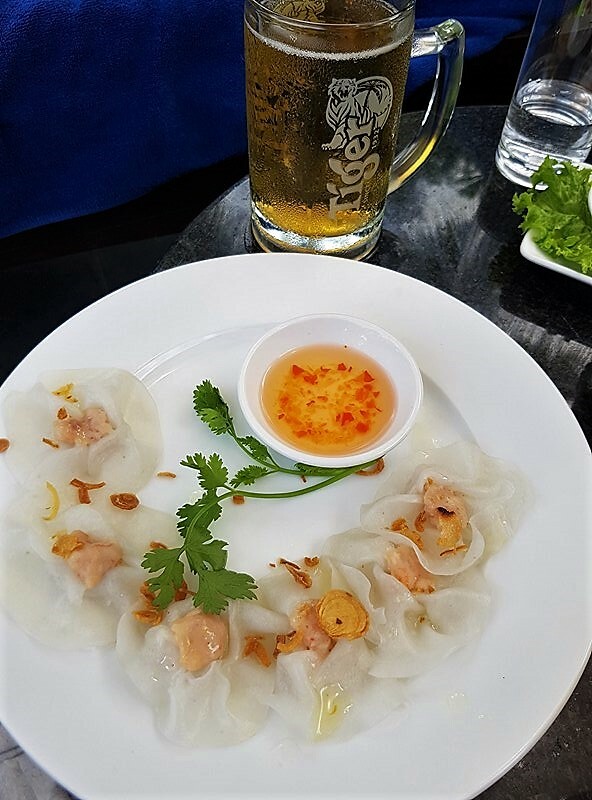 These are special shrimp dumplings made from translucent white dough bunched up to look like a rose. It takes three years to learn how to master them and apparently, there is only one family in Hoi An that produces them and distributes them to all the local eateries. So the answer to where is the best place to get them – anywhere! Because they are all the same and come from the same place. My favourite restaurant in Hoi An was Morning Glory, where it was so good I ate there twice. It is very popular and busy in there, and that’s because it has a great reputation and the food is always good. It is very reasonably priced too for what you get. On our final night, my husband and I’s order was: three large beers, one large bottle of water, 1 shared entree, 2 mains and 1 shared dessert. All of that came to a whopping 519,000 VND ($22 US) – not bad at all! (Tip: Call or go in earlier and make a reservation to avoid waiting in a line). Another restaurant I highly enjoyed was called Cafe 43. I had a delicious chicken and lemongrass curry and chilli chicken and pork fresh spring rolls. They made their own fresh beer which was only 3000 VND a glass! (US 0.13 c). All up our two mains, entree, water and beers came to only 189,000 VND ($8 US) – incredible! The service too was excellent. Another spot I would recommend for dinner or even an after-dinner snack is from the Night Markets across the central footbridge to An Hoi islet. Here you can find an abundance of street food carts selling Banh Mi, fresh fruit, chocolate pancakes etc. One bite I particularly enjoyed was called Banh Trang Nuong, a Vietnamese style pizza, folded in two. It is made with grilled rice paper and lots of fun and delicious toppings. For only 20,000 VND (US 0.88 c), it makes for a perfect budget meal or snack. 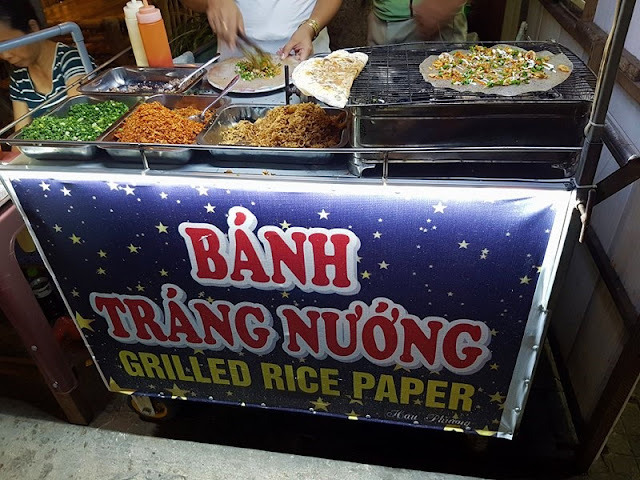 I normally love doing street food tours and did in Ho Chi Minh City and Hanoi, however, I found the ones in Hoi An to be far too pricey. I instead invested in my first Vietnamese cooking class and researched the best place to do it. It seems like every other restaurant is offering one, but I went for one that was one of the first original family cookery schools in Hoi An, Gion Cookery Class, who had an excellent reputation. I had the best day learning how to make all my favourite things including fresh Vietnamese spring rolls with dipping sauce, Banh Xeo, chilli chicken and lemongrass stirfry and beef Pho. With the included trip to a local market, full recipe book and a funny and easy-going teacher, it was one of my favourite things I did in Hoi An and the feast we got to enjoy at the end was incredible! I highly recommend doing this cooking class and it is a great investment learning how to make all of these wonderful dishes yourself at home. Best Places for Coffee: 11 Coffee and Mia Coffee, both do excellent traditional Vietnamese ice coffee. Best Sports Bar: If there is a game you just can’t bear to miss, head to 3 Dragons Sports Bar & Restaurant. We watched an All Blacks game here and the atmosphere was amazing! There is also a really nice riverside view for even if you don’t want to watch the telly. Best Party Bar: If you are a fan of Mr Bean (like me), then don’t miss the Mr Bean Bar! Wildly and accurately themed, it’s an amusing place to have a drink to say the least. Let me know if you are heading to the lovely Hoi An yourself or if you have any other favourite places of your own to add – I’d love to check them out next time!